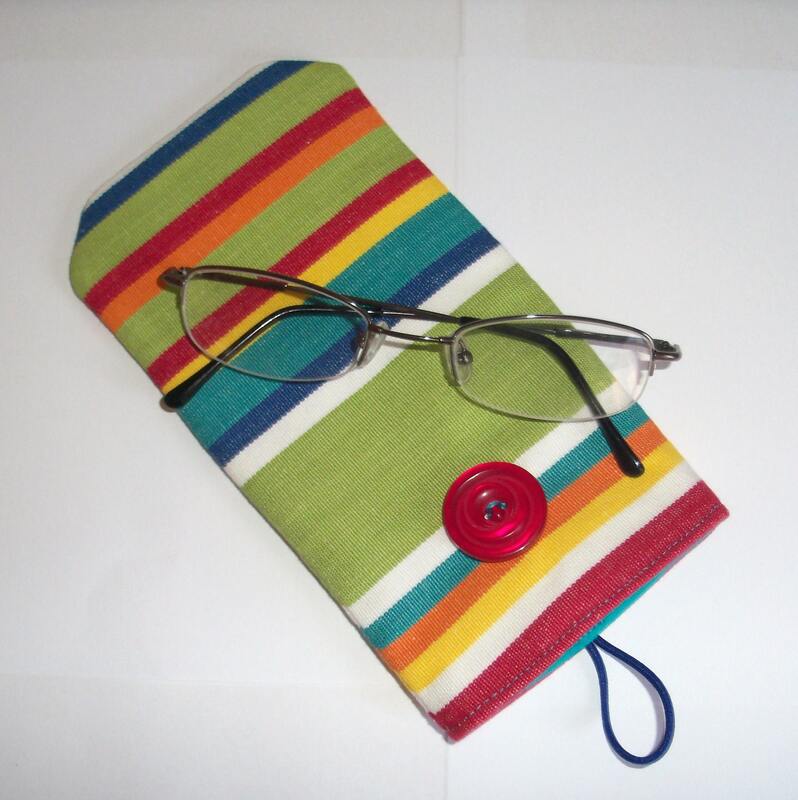 Need something to keep your eye glasses safe and scratch-free then this Eye Glass Case is for you............made in deckchair canvas with stripes of lime green,yellow,white,red,orange,blue,lime green and turquoise, it is lined with plain sea blue green cotton and closes with a red button and a blue elasticated loop. The corners at the bottom have been tapered to give a nice shape and I have added some interlining to give slight padded feel.....never lose your glasses in the bottom of your handbag again! Will come wrapped in white tissue and tied with a ribbon.